To avoid traveling down stairs to their family room, we turned this living room into the new family room. The sectional is the focus and faces a TV. 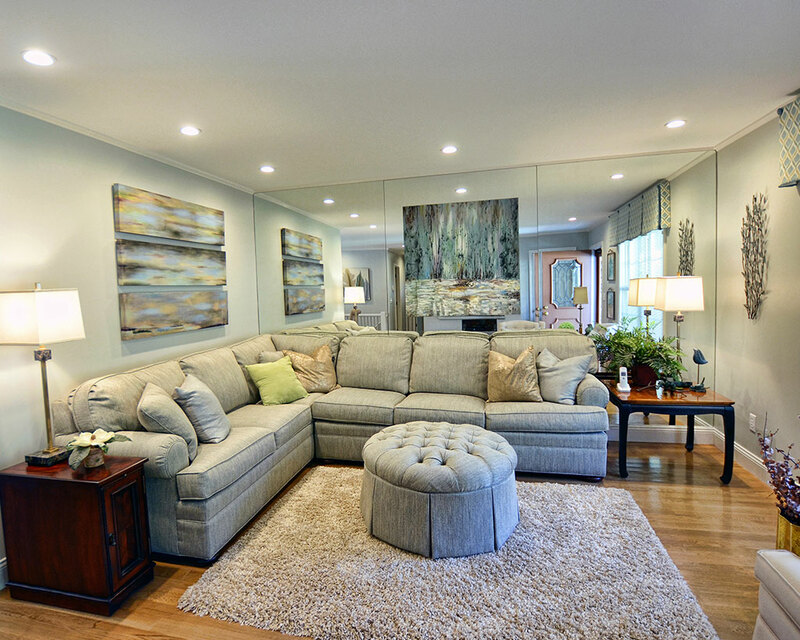 Instead of removing the mirrored wall, we hung art work directly onto it.